So if you are a multi-rotor pilot and have wanted to take video at some stage you will have come across the dreaded JELLO effect that high frequency vibrations cause in today's action cams. If you have not then you are very very luck. I have over the last 12 months tried so many different options and variations I have lost count. I was never happy and was always changing setups and trying different things. Then to complicate things I threw a gimbal into the mix. The most annoying aspect to this was that I didn't have a "goto" camera platform that I knew would be consistent in taking good video. This was evident in my time in Wellington when I was only able to get some good shots and others were impacted due to vibration and a gimbal motor dying. So the first thing I did was decide that I wanted to do a dirty / clean plate design. I had a mixed bag of rubber anti vibration balls from Hobbyking that I could use. The only non 3D printed parts were 8MM OD fibreglass tubes from crab landing gear. You can get them from HobbyKing for 80c for a 330mm length and the rubber vibration balls, and a few 3mm nuts and bolts. My design is very simple. The 8mm tubes are used as the rails and all other components slide onto the tubes. Here is one of the very early designs, the 8mm tubes are a friction fit in the holes as there is no real force on them. After an initial test with the GoPro and Mobius using 80g vibration balls I had success. Nice clean jello free video, from both cameras. The Gopro produced the better picture. But it proved that I was on the right track. Here is some video from that first tests. After successful tests I moved to the next stage which was to design my own gimbal. I made the gimbal specifically for the GoPro hero3. One of my concerns was to make sure I was able to protect the GoPro as best I could as I cant afford to replace it. So I made a lens cap that extended past the lens and then designed a case that completely surrounded the GoPro as well having the motor mount for the gimbal motor built in. The motor mount was designed to have the ability to move the motor up/down to allow CG adjustment. The GoPro case also had the gimbal IMU protected and built in. I crash a lot so wanted to make sure I could provide as much protection as possible. I use Tinkercad to create the design. Here is the final design before printing. Once the GoPro is in the case its secured with a zip-tie. The design still allows easy access to battery and SD / video out. A few shots of the final 3D print with the camera case and the IMU. The lens cover is also on. 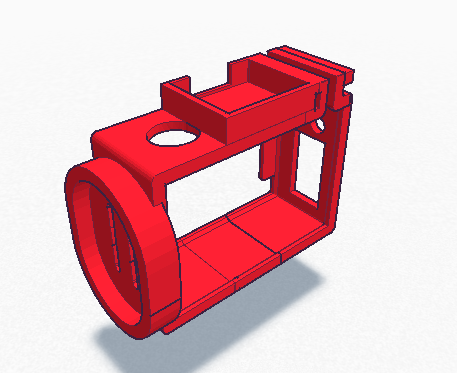 Next part to be designed was the gimbal arm. It took me a few attempts to get a strong design. But that's the beauty of 3D printing is that you can changes things very quickly if you make mistakes. I make plenty. Next up was to design the gimbal controller case. the case would be the main mounting structure for both the motors and camera as well as the mounting to the multi-rotor. I had more than a few goes at getting this right. But eventually got a design I was happy with. Some of the challenge is getting something that was easy to print. All mounted to the frame with final arm design. Did I mention I made a lot of mistakes and changed my design a lot through this process. This is the reject graveyard. After more successful testing and a few redesigns I decided that I needed to get a decent frame to build my camera ship up on. I finally decided to go with a Hoverthings FLIP Gimbal Pro. I should have just got the Flip FPV as I discarded their clean plate system for mine. I transferred the electronic over to the FLIP frame. After a few design issues I decided to increase the width between the rails. So I had to redesign all the the mounts. New wider base mounts on the FLIP frame. Mounting frame for the NAZA & Turnigy receiver. The Naza GPS sits on top. FLIP frame all finished. I am very happy with the frame it seems bulletproof. All the power system is nicely contained in the bottom frame. The final design for the gimbal module. Self contained and only need power connected to be up and running. Testing fitting on the Titan tricopter, I designed a mounting system for this as well, I will cover that in another post. 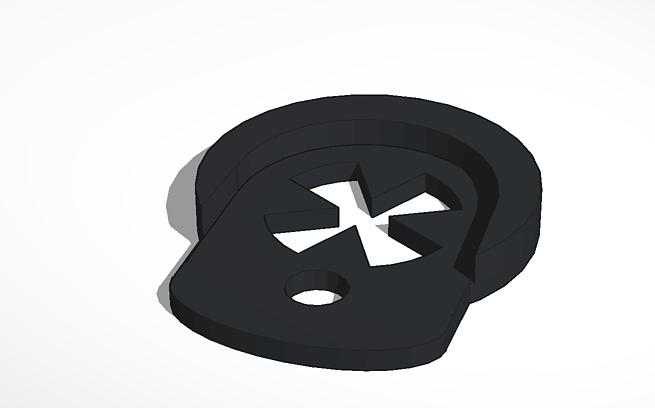 I had a bit of fun and made another gimbal controller lid with a skull on it. I plan to add some LEDs.. The final system on the tricopter and the flip. Also in the picture is a solid mount for the GoPro. It will be mainly used on the tricopter. Now the proof is in the pudding. The video below show the video taken. This was also taken with brand new props on, that were not balanced. Over all very happy with the outcome. I now have a reliable camera ship, now I can focus on getting some cool video. One of the many quad frames I now have is the OPQ. I have yet to decide on the flight control and motor/rotor combo that i want to use. Its a really nice frame and the flying I usually do is in the private cul-de-sac I live in. However that is over tarmac and this frame was purchased to learn stunts on. So I wanted to create some sort of replaceable protection for the arms. There is a leg mounting hole that I was able to use to hold the protector on with. So after some tinkering and printing I can up with the following design. After a test print and a few changes, I was pretty happy with this design. The white below is the test prints and the final shot is the final prints on the heated plate after printing. This was a really goos test to get to understand printing in 3D. The end result is a OPQ replaceable arm protector. Also if you are able to print in different colours a great way to help with orientation. Once I got this simple design out of the way it was on to more complex designs. Sorry for the long time span with no entries, its been a very busy time. We moved cities for seven week while my daughter performed in the musical Annie. The show was not brought to Christchurch as we do not have anywhere for it to be performed since the earthquake. It was a big deal as it was an international show brought over from the Uk to New Zealand. Super proud of my little girl for making it through the tough auditions and getting into the cast. But it did mean that we had to move cities for 7 weeks. No mean feat and expensive. One of the causalities of this was the T-Bucket project, it had to be liquidated so we could afford for the family to move cities. However there was some spare $$ left over and I invested in a second hand 3D printer. It can not do huge prints 110mm x 110mm x 110mm but I thought that will be plenty big enough to make multi rotor parts. So over the last couple of months I have been learning to design and print parts. 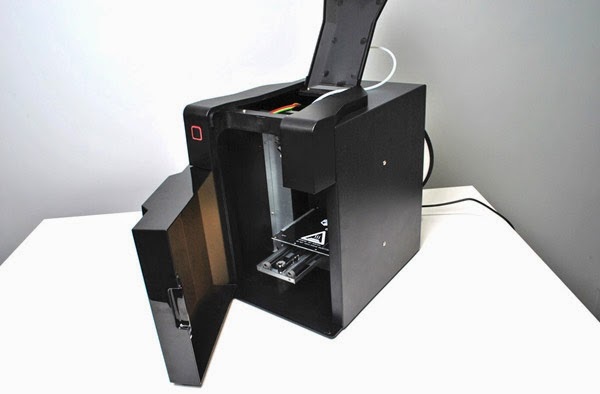 the printer is an !UP Mini shown below. It has really enabled me to make some pretty cool parts for my multi-rotors. Over the next couple of days I hope to add a few entries on the main things I have been printing. It has some great multi-rotor objects to download and print. Its basic and you have to be creative sometimes to get the shape / object you want, but works well for me and the simple designs I make. There is alot of other stuff, that is jus the multi-rotor bits. Look for the details on some of these coming soon. 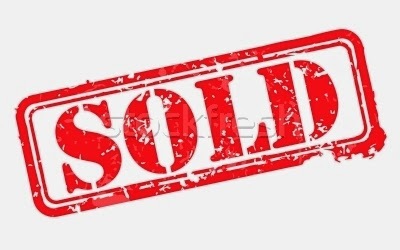 After a lot of soul searching and consignation the T-bucket was sold. This was due to changing circumstances and the need to help support my daughters wonderful opportunity to be involved in an international music in another city (Not an option in Christchurch since the Earthquakes) We as a family had to move cities for 7 weeks. This was not a small undertaking and a costly exercise. So something had to give, unfortunately it was the T-Bucket. But the great thing is that it provided my daughter and the family a wonderful experience. Another plus I can take from the sale is that it went to a great family, 3 generations completing it as a Grandfather, Son & Grandson project. So far 6+ years of time, energy and blood sweat and tears the project that was so close to getting finished has now moved on. A sad day.